Haystack Naturals Premium Horse Feeds has formulated Special Blend Pellets is intended for horses of all ages that would benefit from a lower carbohydrate, high fat diet. 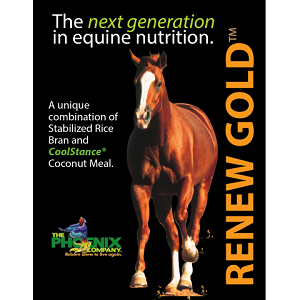 Renew Gold is a unique formulation of energy dense, low starch, premium quality Non-GMO ingredients designed to be fed at a rate of 1/2 pound to 1 1/2 pounds daily. Our goal is to limit or eliminate the use of high starch based ingredients in the overall feeding program. This can help to bring the entire digestive system into proper balance. Fresh chopped, supreme quality, whole leaf alfalfa. 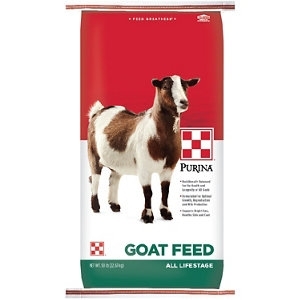 A naturally fermented hay to enhance digestibility. 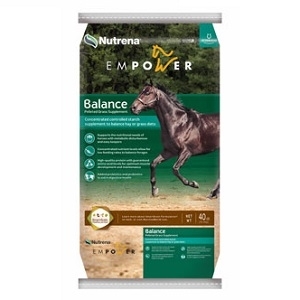 Empower Balance is a ration balancer formulated for horses that get adequate energy from good quality forage. It offers an excellent combination of amino acids, vitamins, and minerals, which balance out the diet to help your horse look and feel its best. 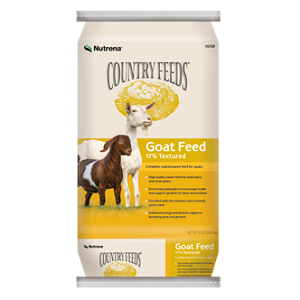 And the low feeding rate makes it a great value to complement your hay or pasture. 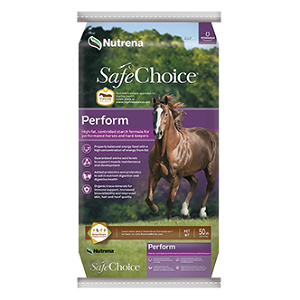 SafeChoice Special Care is specially designed for horses that are prone to metabolic issues related to starch intake, and is formulated at just 11% starch. 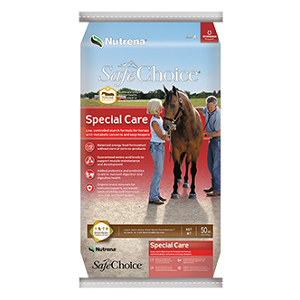 If you're looking to avoid corn in your horse's feed, SafeChoice Special Care is the perfect choice. It's also ideal for easy keepers, ponies, and miniature horses. 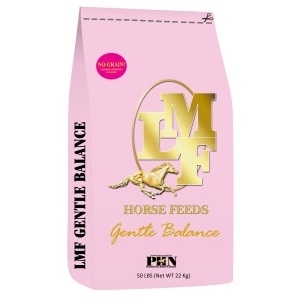 LMF Gentle Balance is a pelleted feeds designed for pleasure horse performing light to moderate levels of exercise. LMF Gentle Balance contains no grains and no molasses. LMF Gentle Balance provides horse owners with a means of providing gentle energy, vitamins and minerals and yeast culture, without including grain. LMF Senior Low Carb is a “unique feed” for older horses with carbohydrate sensitivities. LMF Senior Low Carb contains fiber, energy, vitamins, minerals (including chelated trace minerals and organic selenium) and yeast culture to aid in digestion. LMF Senior Low Carb is formulated to reduce starch and sugar intake for older horses that may be sensitive to carbohydrate related diseases. 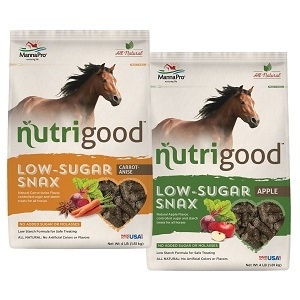 Critical nutrients are presented in highly palatable form that horses readily consume. LMF Senior Low Carb also contains glucosamine for joint health. 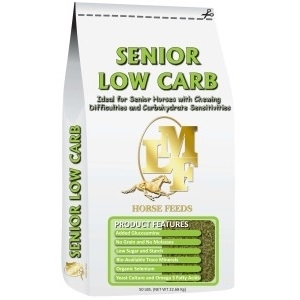 LMF Senior Low Carb is designed as a total diet for all categories of horses, except young growing horses under 12 month of age, but is especially appropriate for older horses with chewing difficulties and carbohydrate sensitivities. 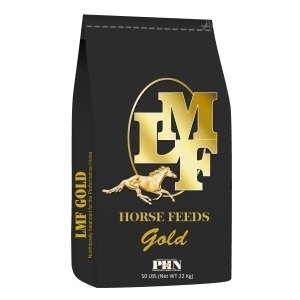 LMF Gold is a nutritionally advanced textured feed for athletic horses. Gold contains 12% fat. This fat originates from ground flax, sunflower seed, soybean oil, rice bran and prilled vegetable fat. The combination of fat sources ensures a favorable ratio of Omega 3 to Omega 6 fatty acids. These fatty acids are essential for energy production, immune function and healthy skin and hair. Gold also contains fermentable fiber from shredded beet pulp and soybean seed coats. These fiber sources produce energy but do not add excessive amounts of sugar to the diet. The combination of fat and fiber aids in keeping performance horses focused, LMF Gold also uses value added ingredients including yeast culture to maintain proper digestive function, high levels of antioxidant vitamins to maintain muscle function and chelated trace minerals to ensure healthy bones. 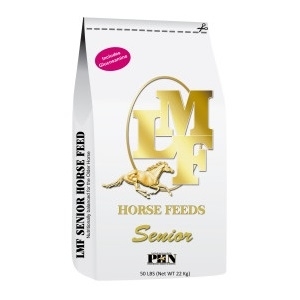 LMF Senior is a pelleted, unique, complete feed for older horses that contains glucosamine for joint health along with the fiber, energy, vitamins, minerals and live yeast culture to aid in digestion. 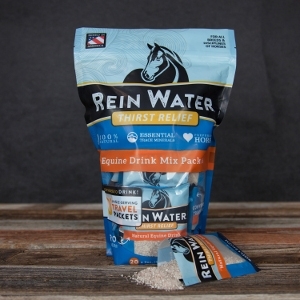 Critical nutrients are presented in a highly palatable form that horses readily consume. 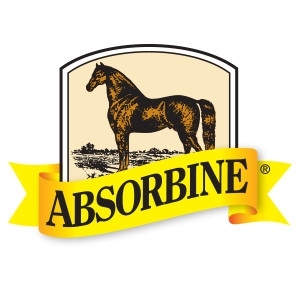 We carry the Absorbine Product line! Find products for muscle & joint, skin & coat, fly control and more. We also stock Absorbine® Veterinary Liniment! 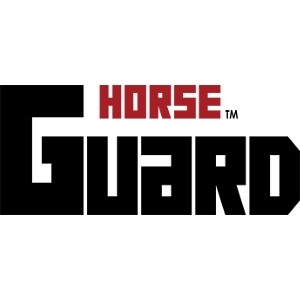 We carry the Horse Guard Product line! Find products for high performance horses, strong hooves, powerful digestion and more to keep your horse happy and healthy. This is the same quality-made, original Weaver halter you've come to know and love! With top quality nylon construction, heat-sealed oblong buckle holes, box-stitching at stress points and true-to-fit-sizing, this will be your go-to halter. LMF Super Supplement Horse Feed, 50 lbs. 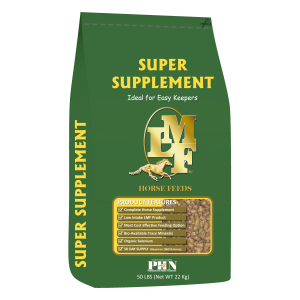 LMF Super Supplement is palatable pellets that are a complete horse supplement containing essential trace minerals and vitamins. LMF Super Supplement also contains balanced levels of calcium and phosphorus to insure adequate intake and proper ratio of calcium to phosphorus. Super Supplement is the “low intake” LMF product. 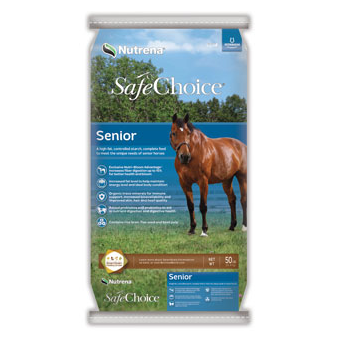 Nutrena SafeChoice® Senior Horse Feed, 50 lbs. Available with or without mollases. 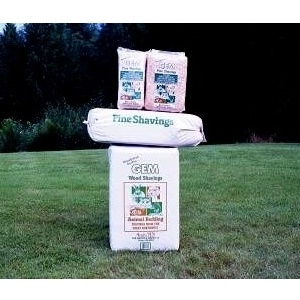 Gem Premier Pine Shavings are primarily kiln-dried Pine shavings. 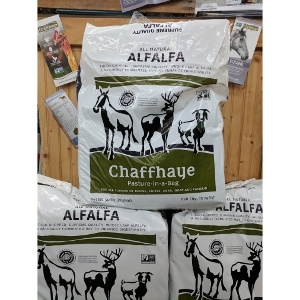 They are an excellent bedding product for both indoor and outdoor animals - large or small. Pine naturally retains a fresh, woodsy aroma. 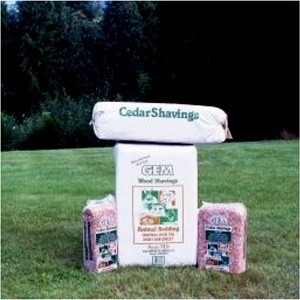 Pine shavings tend to run smaller than Whites or Cedar. 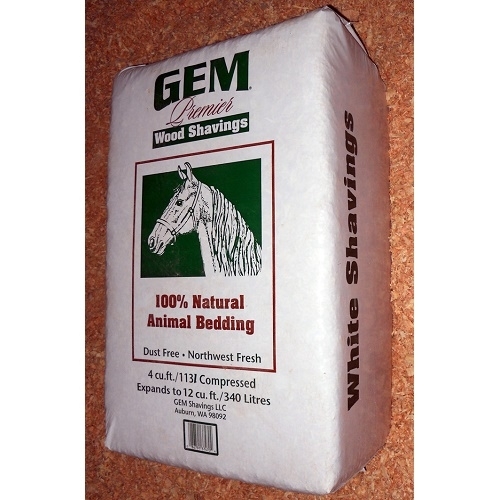 GEM Premier White Shavings are a mix of approximately 80% kiln-dried (kd) Western Hemlock and 20% kd Douglas Fir. And no, the Western Hemlock tree is not related to the poisonous hemlock plant! The Western Hemlock is a coniferous softwood (evergreen) tree that is a predominant species in the forests of western Washington, Oregon and British Columbia. Western Hemlock is the preferred softwood for making high quality paper in the Northwest, and it also makes a superior bedding material.